Luminous and powerful photography by international photographer, Michael Kahn. 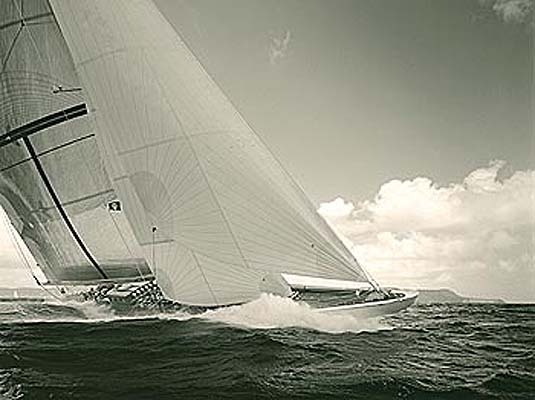 Michael Kahn is a photographer whose luminous and powerful images represent his two life-long passions: the ocean and classic sailing yachts. He travels the globe to produce his series of works. Michaels current series is made from the Americas Cup Jubilee, the distinctive worldwide event held at the Isle of Wright, Great Britain. He hand-prints his images using a process he developed over many years researching and working in the darkroom. Michaels warm, sepia toned images are unique and demonstrate his expertise as a fine printer. 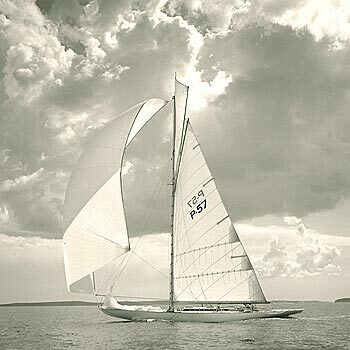 As a lover of nature, the sea, and sailboats, Michaels work perpetuates the beauty and majesty of our all too-fragile environment and celebrates the architecture of sailing vessels and those who preserve them. Represented by international galleries, Michael Kahns works are also held in both private and large corporate collections, such as McGraw Hill, Liberty Property Trust, and MBNA Bank. He photographed, under assignment, for EXXON, DuPont de Nemours Company, and Nations Bank Visa. His prints are seen in set designs for films by MGM, his still shots appear in the Warner Brothers film, Message in a Bottle, and will be used in the next James Bond film.